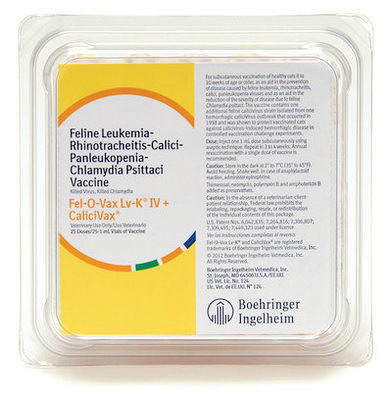 Fel-O-Vax PCT + CaliciVax (Elanco) a killed virus for protection against panleukopenia (distemper), calicivirus and rhinotracheitis. Offers protection against new hemorrhagic calicivirus strain VS-FCV. For cats 8 to 10 weeks of age, or older. Give SQ. Repeat in 3-4 weeks. Annual revaccination is recommended.